Apple has informed its customers via email online unlocked iPhone 5s orders will commence at ’12:01AM PST’ (it’s actually still PDT), or 3AM EDT on September 20, while retail stores will open at 8AM local time. Yesterday we exclusively confirmed Apple Stores in Canada will open at 8AM local time and will offer unlocked iPhone 5s units at launch; last year’s iPhone 5 retail launch did not offer unlocked sales initially. 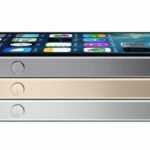 The iPhone 5s appears to be limited in supply due to low yield rates (and possibly component supply constraints) or anticipated heavy demand for the newest device, hence the lack of online pre-orders this year. The best way to make your pre-order on the 20th is to use the Apple Store iOS app to bypass the heavy traffic load Apple.ca usually gets bombarded with. 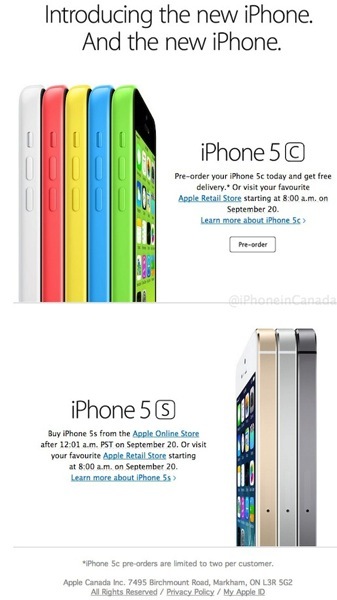 Yesterday, the app performed flawlessly for iPhone 5c pre-orders.